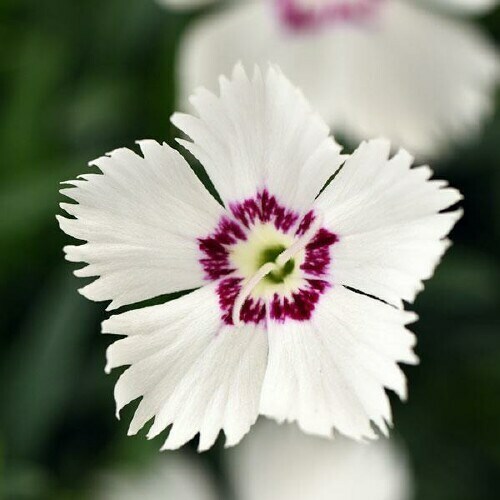 Bright, fragrant white flowers with pink centers in Spring and continual blooming till Fall. Displays tidy mounds of strong, silvery-green foliage. Grows best when planted in sunny gardens.